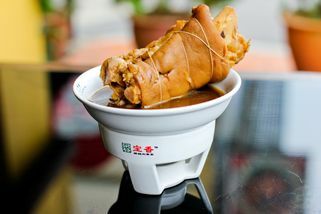 Part of the Pao Xiang Bah Kut Teh chain. 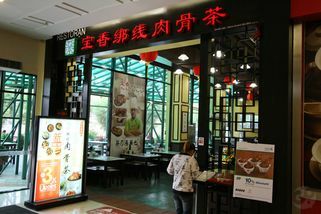 Go to the Old wing Lower Ground floor, walking towards One World Hotel direction, there is a Chinese herbal shop on the left, it is located next to it which have an entrance to the outside of One Utama. 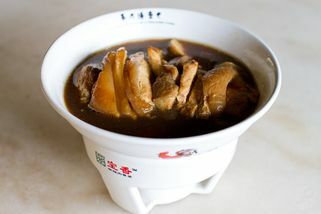 Pao Xiang is a Bak Kut Teh franchise that has successfully set up several outlets in Klang Valley. Illustrated on the menu is a diagram of a pig with labels for the cuts that Pao Xiang uses in their dishes. 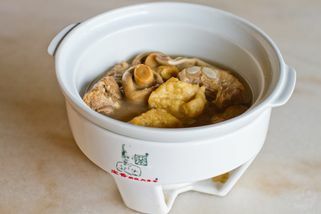 What sets them apart from your usual Bak Kut Teh joint is the preparation of the meat before it is stewed – the meat is bound with cotton string, making the meat more solid and locking more flavour in the cut. Each portion is served in a bowl atop a candle to keep it warm throughout the meal. 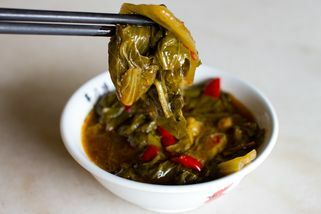 There’s also a wide selection of sides to complement the main dishes. 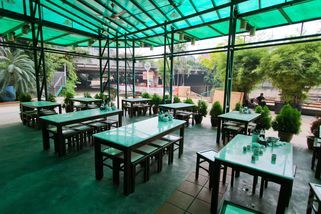 Aside from the traditional indoor seats, Pao Xiang at 1 Utama has an al fresco dining area with plenty of surrounding greenery and a turquoise glass roof, providing a calm and cool ambience despite the usual warm weather. This place is a little on the pricey side compared to other bakuteh places, but I guess you can't really fault them because they're located in a mall. The bakuteh is actually pretty good for mall standards--I actually didn't expect much, but I was pleasantly surprised and would come back again. I guess the concept is a bit different from regular bakuteh places in that they serve portions for one. So the bowls are really small--if you're gonna share, you would have to order a few different things. "Juicy Meat and best BKT in town"